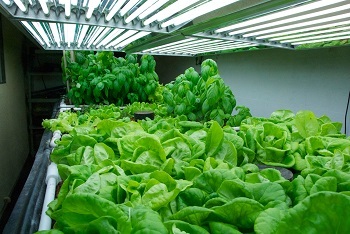 While fluorescent grow lights are not the ideal solution for general indoor gardening, there are some situations where they work well. 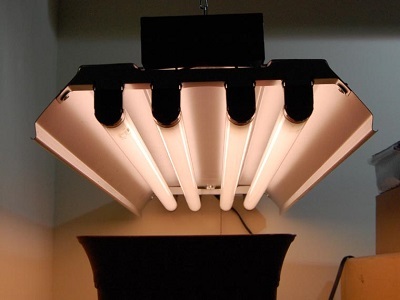 The diffused light from a fluorescent fixture requires that the fixture be placed very close to the plants to provide adequate lighting. In most cases, that means its most useful for new plants and propagation gardens. Once the plants are well started, they can be moved to new locations, either in an outdoor garden or an indoor garden where High Intensity Discharge lighting can take over to promote healthy growth for flower and fruit production. Fluorescent Grow Lights are also suitable for many tropical plants, like Orchids and African Violets, which have a natural environment in the dim light under the canopy of a tropical rain forest. Fluorescent bulbs are available in cool 6500 Kelvin, best for vegetative plant growth, and 3000 Kelvin, for blooming growth. They can also b e combined in a single fixture for full spectrum lighting. Wherever you use fluorescent grow lights, standard bulbs won't get the job done. High Output fluorescent bulbs, either straight line or compact fluorescent, are designed specifically for the needs of indoor gardeners. When it comes to fluorescent grow lights, we are the place to shop. We offer the fixtures and accessories you need to create great indoor garden environments when fluorescent lighting is the answer. Our fixtures are designed to stand up under the humid conditions of indoor gardening. We sell only proven fluorescent bulbs that produce the color spectrum and high output light that is essential for plant growth.